So I stumbled this website and all I could think is what is Two Dollar Click about? 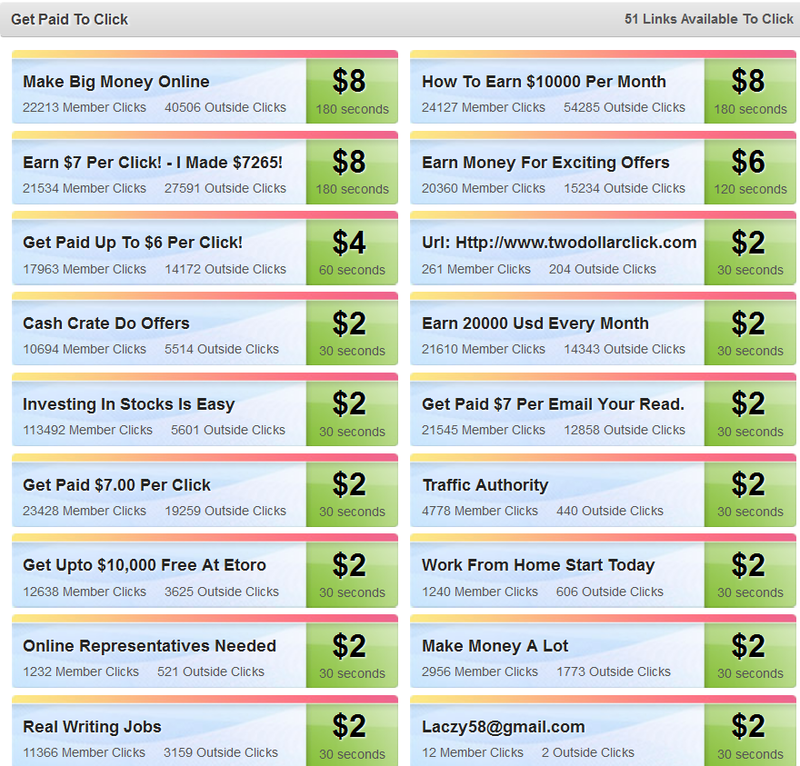 Surely they can’t be a PTC site that pays $2 per click… remember the rule about too good to be true? 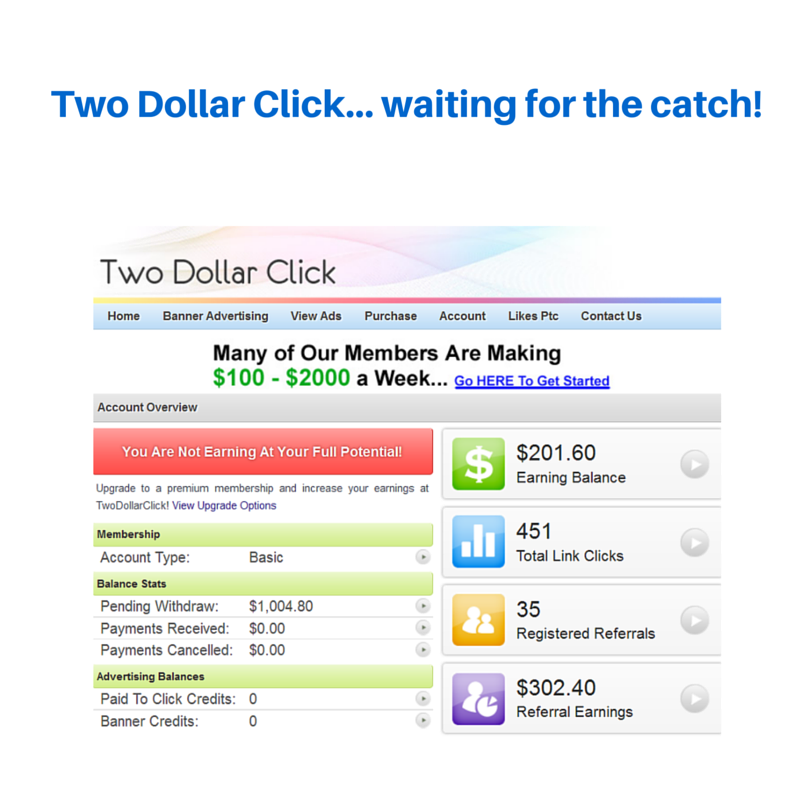 Introduction: What is Two Dollar Click? The Two Dollar Click website claims they will pay you about $2 for every ad you click on and you can earn over $100 per day. So in theory you should be able to make $3000 per month if you work every day. This sounds great to me. 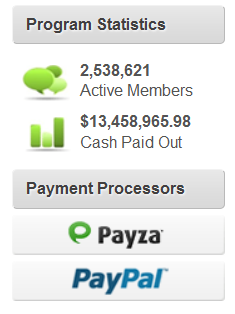 On their home page they say they have over 2 million active members and they have paid out over $13 000 000. That sounds pretty darn impressive at first sight! If I take the exact figures from the screenshot above and just work out the average that each of these active members has made in total it comes to the grand amazing total of $5.30! Where is the $100 per day? Doesn’t matter, maybe some of them are lazy and aren’t prepared to do what it takes to make themselves rich. This is not a problem for me because I am not lazy and always keen to find ways to make money online. According to their website there are currently 51 ads available for me to click on ranging from $2 per click to $8 per click. Here is the breakdown of what I can earn for those ads: 48 x $2 per click, plus 1 x $6 per click and 3 x $8 per click so in theory I should be able to make $126 immediately. As expected the number of ads dropped so I didn’t earn that amount daily. Starting off with Two Dollar Click was really annoying because I got messed around a lot in the beginning when trying to click on ads, it kept logging me out which I found especially irritating because their website is so slow. Logging in and clicking on ads takes so long to load it made me want to give up on this review. However the first struggles with logging in everything went smooth if not fast. It took me just over 2 weeks to “earn” the $1000 cash out threshold. So this was not quite the $100 a day promised. In January 2016 I requested a cash out and they state in their terms and conditions that it takes up to 60 days for cash outs to be processed. By February I had earned more money from people signing up under me even though I stated clearly on this post that I believe it to be a scam, so I cashed out another amount. By June 2016 when I logged into Two Dollar Click again to do my video proof that this is a scam I had another amount earned by referrals that I could have cashed out but I never bothered because just as I suspected in the beginning I have never been paid out anything by Two Dollar Click! Is Two Dollar Click A Scam? Yes for sure, watch my video below and also read my updates at the bottom of this post. Two Dollar Click will not pay you, you will work for free. 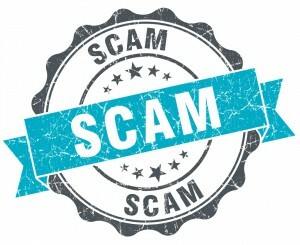 Click here to read what Wikipedia says about PTC scams. My Verdict for Two Dollar Click? Yes Two Dollar Click is a scam! Don’t waste your time, I certainly wouldn’t have except for the sake of reviewing Two Dollar Click and getting all the screenshots and personal experience to share with you! Clicking on ads is not a career, it never will be and it never has been. You will never make money from any other website offering pay to click income. If you do manage to make money it will be very little, just like their amazing average of $5.30 per active user! So I keep hearing online that this is in fact NOT a scam, I am still sure it is. However in the name of research I went back to my account in mid December 2015. This time I was able to access ads at $2 per click. On average there are 20 – 22 ads available every day and it takes me about 10 minutes to quickly go through them. I also had some people signing up under me through my referral link even though I stated on this website that I believe this to be a scam… go figure? (I have since removed my referral link from this post). So using Two Dollar Click every day for about 2 weeks I apparently have earned $650.20! I have now made my $1000 to cash out and I have some referrals working away for me. They say it takes 60 days for payments to be processed.. and if you are not active for 60 days they close your account. I now have to make sure I am on the site every few days to keep my account active just in case. I will let you know whether I get paid or not. Something tells me NOT! Just as I suspected, you can keep clicking and you can keep “earning”, you can “cashout” but your money will never ever reach you. All your cashed out money just sits in pending but never reaches you. Please don’t waste your time with this! Yes Two Dollar Click is a big time scam! Clicking on ads is not a career, it never will be and it never has been. You can make a small amount of money from legitimate websites like Clixsense, but any website claiming big earnings per click please just stay away. Stop wasting your time with these so called “opportunities” and have a look at my #1 Recommendation for making money online! Make Money Liking Facebook Pages… Really? That is a story that encourages me to read them all and there were an answer pop up in my mind once I started reading them – oh I know you understand that. So at the end it proves that my initial answer is still valid. Of course I know that you intend to play around with it but the truth behind this is more interesting. Do you think this is the way they try to promote SEO for their customer randomly for free money? With click from you and others the inside link will land on the web page and makes it good in the eyes of google bot. Do you have any idea about this. This is an interesting question. Perhaps you are right, however their bounce rate would probably be low which doesn’t help much does it? Just because people click through doesn’t always mean it will look good to Google. The amount of time a person is on the website, the amount of pages and the bounce rate all count too. Great review and a nice exposure of yet another scam out there. As I can see from your review it’s a total waste of time. The only good thing is that it’s free to join. I’ve seen so many programs like this one that I smell this type of scams a mile off. It’s very similar to another scam called My Advertising Pays. The idea is absolutely ridiculous, just click the ad and get paid. It’s just not going to happen. If making money was as easy as clicking on ads we all would be millionaires in a matter of a few weeks. I wish it was true but it’s just a dream. Yes I have heard of My Advertising Pays and hope to review that soon too. Unfortunately I think a lot of people get drawn in because it is free, but then get messed around which is something I don’t enjoy. This is time theft! Imagine what you could get done if you spent that time on a valid and honest opportunity instead of this? I’ve never heard of Two Dollar Click before – and after reading your review I’m glad that I hadn’t found it. I like the way you walked me through your experience – this should be easy – click on ads, make some money – as long as you can stay logged into the system. After all the clicking you did – no money at all. This is definitely a scam – thanks for sharing this information and saving me from wasting time on this. Thanks for your feedback and so glad I could highlight their tactics, perhaps other people make money with them and I am just the unlucky one but I doubt it. I find most of the opportunities I find online to be scams or time wasting ventures! I hadn’t heard of Two Dollar Click before I found your review. 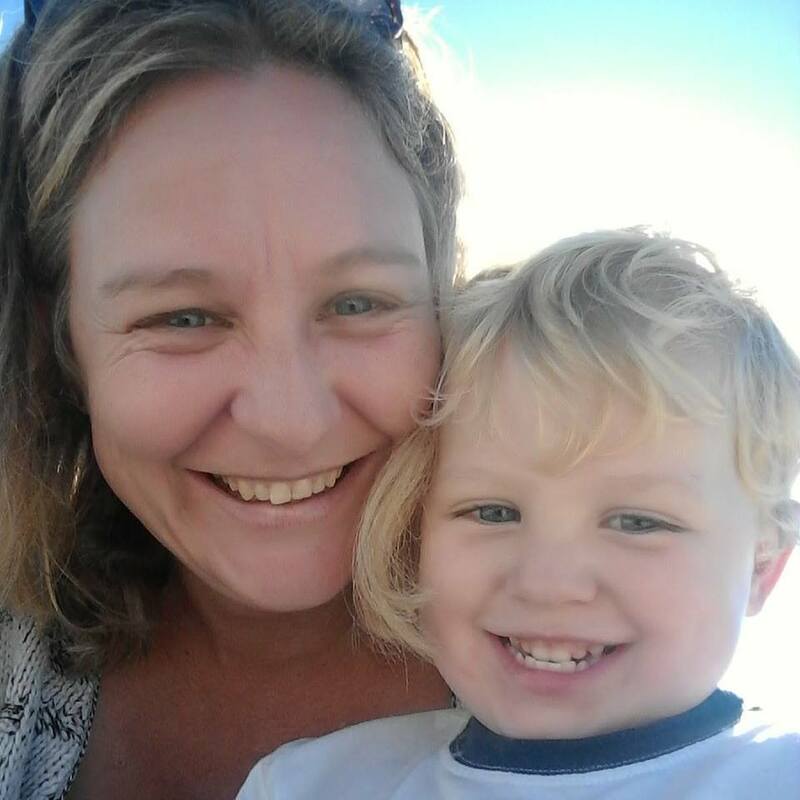 I’m always looking for ways to earn a little extra income online, so I would imagine I would have stumbled across it one day. Thank goodness I found your site first. You have saved me a lot of time and grief with your thorough, and honest review. It is a pleasure! If you want a run down off all the websites I have reviewed check out my latest post, there is a list of websites you can try out that are worth your time. Yes, it’s about as ridiculous as all the money you can make filling out surveys and stuffing envelopes. So many scams out there thanks for pointing out another one. Outstanding review, really well done with great graphics. Visually very appealing, the more I looked the more I wanted to read. Thanks. It is a pleasure! This one gets me now with the account balance showing so high, makes me want to get excited. Hi Babs, it is a pleasure 🙂 Yes I would advise stay away, at least until I have managed to check whether you get paid out or not! well this is an interesting one! I will be interested to see if you actually earn that money. Well actually you have earned it it seems. But will they give it to you is the question. I sense a scam here where it will say that you passed the deadline to cash it or something like that….And I cannot believe all the troubles you had to go through at the beginning though. I would have been ready to throw my computer out the window! Well I never gave it another thought until recently when some people have insisted they have been paid. Now I come back and everything works? Very strange, and yes that account balance looks great but I just don’t trust it one bit! I am so fed up with these type of websites which their ultimate goal is to make money by taking advantage or in other words by robbing people. We as consumers should be more aware of these type of scams, and I believe you are providing us with the information we need to make the most informative decision. Is there any way to make money online that it does not involve taking advantage of other people??!! Please continue reviewing these type of so called “business opportunities” that try to take advantage of people. Thank you for sharing! Yeah I would really stay away from Two Dollar Click, well at least until I can show you what the catch is! Yes there are ways to make money online that don’t involved conning people! Check out the post I just wrote today on all the opportunities I have reviewed to date. I’m sure something there will help you out! Hi Lynne, I really enjoyed your review. I had never heard of two dollar click before it sounds interesting, but with a lot of problems apparently. I am wondering where this will take you, it sounds like an easy way to make some money online, although those ptc “opportunities” most of the times prove they are scams. I’ll search for it maybe, thanks! I agree with you that PTC is not a great way to earn money, and this one has the too good to be true stamp on it big time! I’ll be back though to share with you all exactly what the catch is when I try and cash out with Two Dollar Click! Hi there, thanks for the review, its a great article. They give you $2 for every ad that is clicked?? Sounds like there is a catch some how. Too good to be true and $3000 per month sounds really unrealistic with just clicking on ads. After now reading your article, I’m quite keen now to see what happens on your update! Thanks, all the best. Yes I am sure there is a catch, there just has to be! And yes I’ll be back to tell you exactly what it is! Hey Lynne, nice one! That Two Dollar Click is like so many others! Just fake! Thanks for your review, it was very informative. I really like what you write. I am sure too that Two Dollar Click is a scam, but I have been advised to have another look by some people claiming it isn’t… so now I have to keep clicking until I can see what really happens. Not far from my “$1000” now, hopefully it will just take another few days. Thanks for a very fair review of two dollar click. As you know, I am by no means a fan of these kinds of websites. The are extremely time consuming and usually never payout anything more than pennies for the time that you invest. This one is interesting though. I am looking forward to reading your update. Something to consider though… These kinds of systems do appeal to a very large market… It could be worthwhile using as a feeder for your mailing list through which you will be able to reach more people with your legit opportunities. I’m now sitting on close to $800 so I think it will only take another few days until I reach the $1000 cash out. During my research I read that there have been complaints from people that they didn’t get any more links to click on once they neared the $1000 mark. Perhaps those people didn’t have any members in their downline? I now have 20 referrals and the income from them is just over $100. Oh well we’ll see soon won’t we? It is a pleasure. I am so sure this is a scam and I look forward to sharing what the catch is here! I like your ebook pop up. Great idea! I admire your perseverance with this slightly dubious enterprise! Looks great visually with all of your screen shots and nicely breaks up your text with your experiences making it easy to read and digest. Thanks for the feedback, yeah getting closer to the time I can check out what the catch is with Two Dollar Click, there has to be one! Wow $2 a click – why didn’t Neobux think of that? Answer – it’s not sustainable! These types of PTC sites are built on the promise of riches to bring people in, upgrade them and then disappear. What type of site could possibly be successful enough to offer $2 for every click? Thanks for highlighting this bunch – great review! Yes it is completely unsustainable, but I want to see what happens when I reach the $1000 cash out point with Two Dollar Click! Thank you for a great comprehensive review, Recognizing the scam seems to me a number one priority for fellows involved in online money making activities, we should encourage ourselves to spend more times to explore it. I know you wasted your time trying to test â€œTwo dollar clickâ€ and at the end you receive nothing, but the appreciation you get may be a good consolidation for you. Keep up your good work, good luck. It is a pleasure, I still want to see what happens when I reach the $1000 cash out! I’ll let you know. This was a very nice and enthralling review! Reading through your experience and struggle was great, you can rest assured that it was worth it and we are enjoying it. Of course, sorry about your experience with this two dollar scam company…I think it sounds too good to be true, but still they need to do what they are supposed to do! But they just make you work for free! Thanks for sharing with us Lynne and I wish you great experiences in other sites! Hey Mike, well if it saves other people going through that then I am happy to do it. I knew from the moment I saw that website that it was a scam but it is always best to do a very thorough review and prove it without a doubt so my readers can see for themselves from my experience. Yes I am having some great successes with other programs and opportunities. The internet isn’t just full of scams, there are some gems out there too! Very true, $2 per click is way to much and if it sounds to good to be true it almost always is a scam. Very thoroughly written well explained review of this scam site. Its great that you are helping more people from losing money to these con artists. Its very important that any site that asks for information or money be researched. Great article. Cheers! Thanks and yes for anyone that has spent any time searching for an online opportunity that $2 per click would have alerted them immediately to the fact that this is a scam!